With the Grammy award winning singer recovering in a London hospital, her father gave details of her condition. 24 year old Grammy award wining Amy Winehouse has been diagnosed with emphysema. Mitch Winehouse, the singer's father, made the announcement today and said that doctors had given her only months to live unless she stopped smoking crack cocaine. He pleaded with her drug dealers to stop selling the star drugs, saying, "I'm saying to those drug dealers, and they know who they are, if they are supplying crack to Amy, then they've got to take responsibility." He said that her use of crack and cigarettes had "gunked up her lungs" and that she currently had only 70% lung capacity due to her illness. The disease, he said, was caught in the very early stages, but commented that "had it gone on for another month they (doctors) painted a very vivid picture of her sitting there like an old person with a mask on her face struggling to breathe. Amy Winehouse was admitted to hospital last week after collapsing at home. Mitch Winehouse speculated that her illness wouldn't keep her away from the concert stage, saying that there was "no medical reason to keep her from performing." He said that it was work that seemed to have a moderating influence on her lifestyle, and indicated her recent European concerts may have saved her life by keeping her away from extreme drug use. 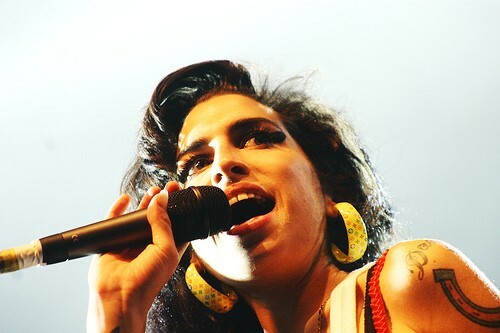 Amy Winehouse has not released an album since her critically acclaimed "Back to Black" LP 2 years ago. Learn about the most common cocaine treatment options, whether you need residential or outpatient care, where to find local treatment, how to evaluate your treatment options and more.